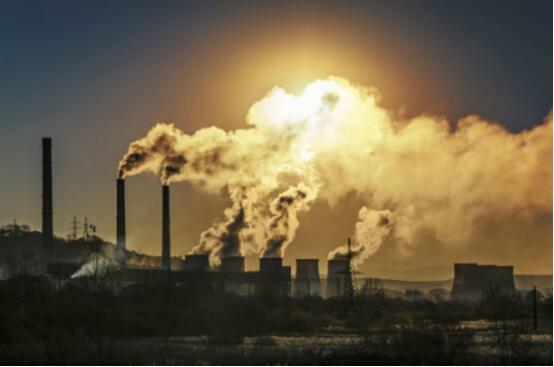 According to a WHO study, among the 4.3 million people who died of global air pollution in the kitchen in 2012, 34% suffered from stroke, and chronic obstructive pulmonary disease and ischemic heart disease accounted for 22% and 26% respectively. About 6% of lung cancer. In a research project on disease risk assessment in the British medical journal The Lancet, kitchen air pollution (smoke) has been listed as the greatest health risk after high blood pressure, smoking and alcohol abuse. The number of people who die each year from the inhalation of smoke from kitchen fires is more than the total number of deaths caused by malaria, tuberculosis and AIDS. The study on Chinese farmers in the US National Cancer Society magazine also confirms the impact of kitchen air pollution on human health. Chinese and American scientists participating in the study surveyed more than 20,000 farmers in Yunnan Province and found that farmers who have no ventilation equipment in their homes have the probability of developing lung cancer, which is about twice the number of farmers who have built chimneys or ventilation equipment in their homes. The researchers said that the use of unventilated stoves is similar to smoking in the extent that causes lung cancer. Olansi air purifier is also known as the product that can absorb, decompose or convert various air pollutants (generally including PM2.5, dust, pollen, odor, decoration pollution such as formaldehyde, bacteria, allergens, etc.) and effectively improve air cleanliness. Mainly used in home, commercial, industrial and building applications. So choose suitable air purifiers is very vital. GUANGZHOU OLANSI HEALTHCARE CO., LTD IS A PROFESSIONAL AIR PURIFIER SUPPLIER WITH CAR AIR PURIFIER, WATER PURIFIER, WATER DISPENSER, WATER HYDROGEN. Established in 2009, located in Guangzhou City in South China, Guangzhou Olansi Healthcare Co., Ltd is a professional hydrogen water maker and air purifier OEM manufacturer. The products of the company contain pm2.5 air purifier, desktop air purifier,home air purifier, HEPA air purifier, ionizer air purifier,air purifier with humidifier,room air purifier,hydrogen water machine and so on. All OEM air purifiers are manufactured in accordance with the CE, ROSH, and CB Certification. Through years efforts, Olansi is now with a great reputation. 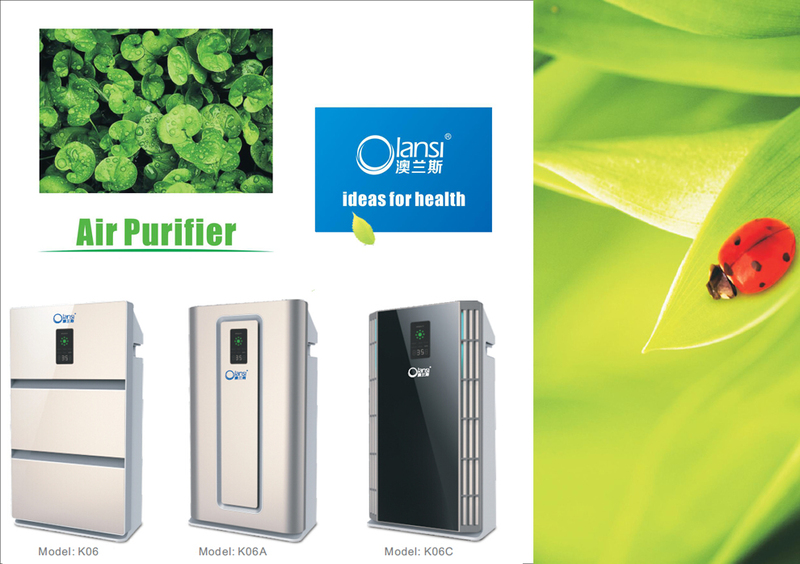 Olansi Healthcare Co., Ltd is a professional china air purifier manufacturer since from 2009. Olansi Air purifiers are a practical addition to the home or office environment to eliminate airborne toxic substances or particles that can have a negative impact on the health. They are particularly useful to people who suffer the most from allergies or asthma. Also, they are great in any home with a smoker because it is very effective at clearing secondhand smoke. A room with poor air circulation can soon start to feel quite unpleasant and stuffy. Most of the air purifiers have the ability to completely circulate the air in a particular room five or six times per hour. However, the air delivery rating (ADR) can vary with the different unit and some may be more or less efficient than this. The most basic use of the air purifiers is to remove everyday air pollutants. Pollen, fungi, bacteria, plant spores, dust mite allergens and pet allergens are just a few of the most common pollutants in a typical home living environment. A popular type is the High Efficiency Particulate Air (HEPA) filter which is built to rid the air of particles at 0.3 microns or above and up to 99.6% of everyday pollutants. The air purifiers are a great tool to remove pesky flying insects and other little creatures that can enter the home. This is certain to be a great benefit in the warmer months when the doors and windows are left open in the evenings. Also, it eliminates to need to use toxic sprays. 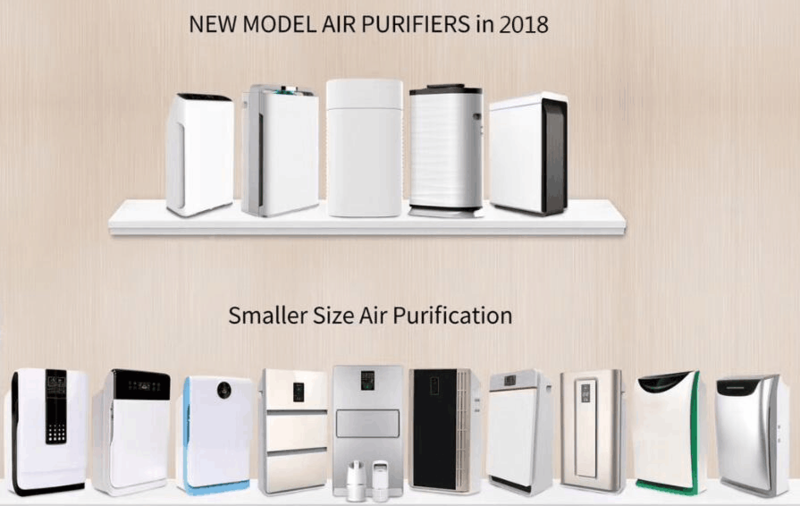 Many of the latest air purifiers have germicidal filters built-in which are highly effective at clearing the home of the most common germs, mold and fungi. The most versatile models are built with carbon filters to help eliminate odors in the home to leave the local surroundings smelling fresh and clean. This feature is likely to benefit the homes with an open kitchen or homes with smokers. Many people believe that with clean air to breathe, the mood is improved with less agitation and more able to control the temper. Also, when you are less agitated, the cortisol levels in the body will start to reduce which is appreciated for leaving you feeling more relaxed, calmer and less stressed. A great positive of this is the ability to be more productive in your day-to-day activities. Air purifier’s hotsale season is coming as the winter is coming. 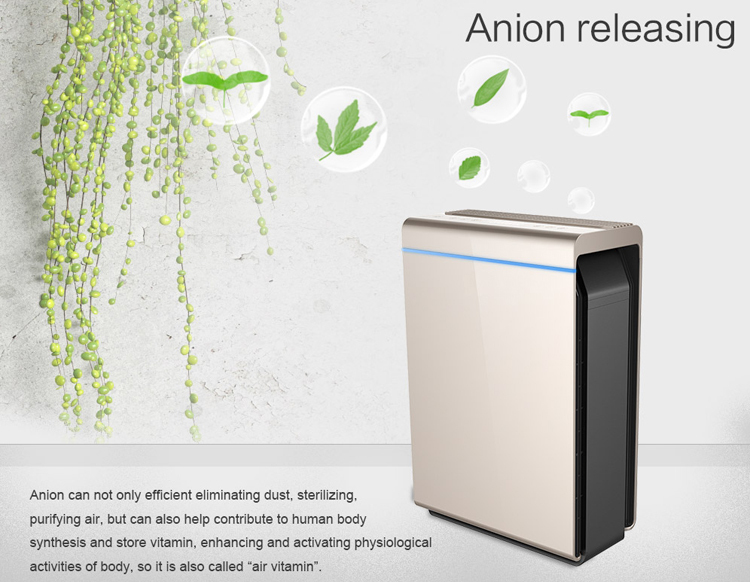 Each winter season,because the bad air pollution with big wind,so many and many family will consider to purchase an air purifier for home use. Olansi Healthcare Co., Ltd is a professional china air purifier manufacturer which is mainly doing OEM&ODM job for worldwide customers. And this morning,olansi have received an inquiry from a Kazakhstan customer.The title of inquiry is HEPA Filter Type and Electrical Power Source Air Purifier China Inquiry. Good day. My name is Assem, i work in company from Kazakhstan. Would you please send me your price list for this product and is it possible to buy samples in quantity of 4 -5 pcs? How are you ? This is Tina from Olansi.I would like to share our company to you ! Our company is specialized in producing Hydrogen water maker,water purifier, water dispenser, air purifier factory since 2005.;We have our own R&D department and labs, production and sales. 450+ employee with 9 production line and daily capacity 6000pcs.ISO9001 certified. Any products you are interested in please let us know your ideas,wait for your early reply,thanks.